2018 was a great year for the T20 Leagues around the world. The Big Bash League (BBL) was the first T20 League that was played in the year. It was followed by an array of other leagues played all across. A few new leagues emerged onto the scene as well having witnessed the success of some of the other major tournaments. It was quite heartening to see cricket return to Pakistan in the form of Pakistan Super League (PSL) 2018. Then, it was time for the cricket carnival in India. The Indian Premier League (IPL) came back stronger and bigger with two of the most beloved teams making their comeback. 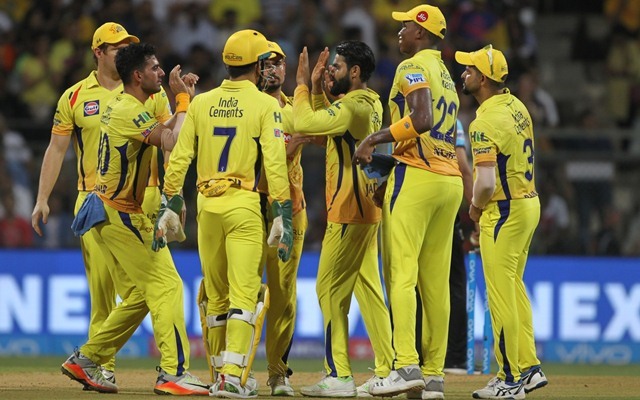 It was the Chennai Super Kings (CSK) who reigned their supremacy straightaway and went on to clinch their third title. With a lot of international cricketers turning up, the T20 Blast also managed to attract a lot of viewership. In its maiden edition itself, the Global T20 Canada grabbed much appeal as Steve Smith and David Warner returned onto the cricket field for the first time after the Sandpaper gate. Afghanistan’s own T20 league – The Afghanistan Premier League (APL) was a big accomplishment for the nation and it witnessed many records tumble. The Caribbean Premier League (CPL), with all the entertainment that it has on offer, left the fans enthralled. Moreover, 2018 witnessed Cricket South Africa realise it’s long-cherished dream. 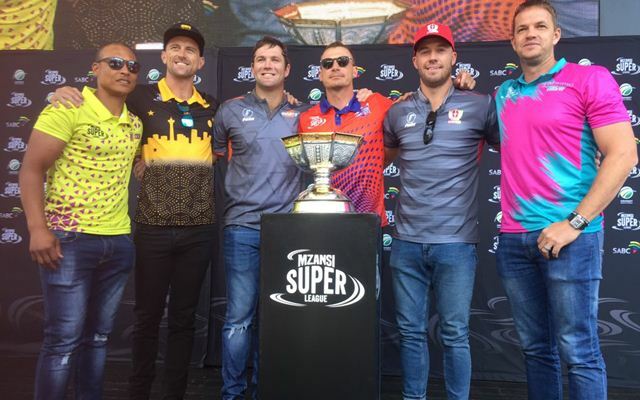 The Mzansi Super League (MSL), the country’s home-grown league was a huge success. It exceeded the expectations and thus contributed in finishing the year on a high. There wasn’t any action though in the Bangladesh Premier League (BPL) as it had to be postponed to 2019. Kane Williamson, Jos Buttler, KL Rahul, Ambati Rayudu, Rishabh Pant, MS Dhoni (C)(wk), Rashid Khan, Andrew Tye, Umesh Yadav, Siddarth Kaul, Kuldeep Yadav. Chris Gayle, Mohammad Shahzad (wk), Darwish Rasooli, Ryan ten Doeschate, Laurie Evans, Mohammad Nabi (c), Rashid Khan, Karim Janat, Isuru Udana, Sayed Shirzad, Qais Ahmed. D’Arcy Short, Alex Carey (wk), Cameron White, Glenn Maxwell, Travis Head (c), Tom Cooper, DJ Bravo, Rashid Khan, Jofra Archer, Andrew Tye, Ben Laughlin. Quinton de Kock (wk), Reeza Hendricks, Rassie van der Dussen, Faf du Plessis (c), AB de Villiers, Cameron Delport, DJ Bravo, Jeevan Mendis, Beuran Hendricks, Duanne Olivier, Lutho Sipamla. Luke Ronchi (wk), Kamran Akmal, Shane Watson, Babar Azam, Colin Ingram, Shoaib Malik, Liam Dawson, Shahid Afridi (c), Faheem Ashraf, Wahab Riaz, Mohammad Sami. Glenn Phillips, Colin Munro, Shimron Hetmyer, Darren Bravo, Kieron Pollard, Nicholas Pooran (wk), DJ Bravo (c), Imran Tahir, Fawad Ahmed, Oshane Thomas, Ali Khan. Lendl Simmons, Anton Devcich, Sherfane Rutherford, Rassie van der Dussen, Nicholas Pooran (wk), Andre Russell (c), Fabian Allen, Sheldon Cottrell, Fawad Ahmed, Lasith Malinga, Peter Siddle. Ian Bell, Aaron Finch, Alex Davies (wk), Luke Wright, Laurie Evans (c), Corey Anderson, Daniel Christian, Jerome Taylor, Nathan Rimmington, Matt Parkinson, Pat Brown. Get the latest Cricket News and all the Cricket in 2018 articles, Match Predictions, Fantasy Cricket Tips and lots more on CricTracker.com.